World printing industry has a rich history with origins in China (second century A.D.) Later, Johannes Gutenberg invented movable type letter press in the 13th century. After lapse of 600 years, highly sophisticated 'offset' printing was invented, and in 1990s digital printing systems came to the market. Heidelberger Druckmaschinen AG, popularly known as Heidelberg Printing Machines is a German precision mechanical engineering company with head quarters located in Heidelberg. With a long history of 150 years, Heidelberg is a manufacturer of offset printing machines in the world, Heidelberg has a worldwide market share of more than 40% of the industry and is the largest global manufacturer of printing machines. Sheet-fed offset printing is used predominantly for high-quality, multi-colour products, such as catalogues, calendars, posters, and labels. Heidelberg produces equipment for prepress, offset printing and postpress, and is the only company that does so in the world. In 2011, Heidelberg joined hands with Ricoh, Japan for a partnership to sell and support the Ricoh's latest production - digital colour presses offset machines. 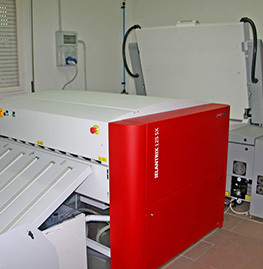 Heidelberg sheetfed offset printing machines, and digital printing machines, are used widely by the reputed printers all over the world, including China. 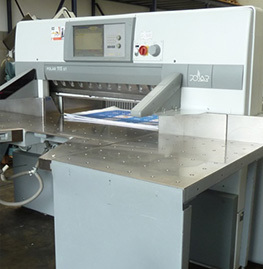 For Chinese market Heidelberg has produced special printing machines. In all formats of printing, Heidelberg is considered as the leader, and it has now become an internationally renowned house hold brand name. Heidelberg is keen on innovations and produces sophisticated Heidelberg offset printing machines and digital printing machines. Heidelberg Printing Machines, are produced in various formats. (35x50cm -121x162 cm.) Heidelberg factory also turns out devices for plate imaging and postpress finishing as well as digital inkjet systems for packaging manufacturers. Hiedelberg also enjoys a good second hand printing machines market globally for their used Heidelberg printing machines - sold "as it is", or as reconditioned Heidelberg printing machines - refurbished under strict technical guidance by reputed GAB Supplies, to meet the Heidelberg high standards. As GAB Supplies, we do have a history of many years in the provision of reconditioned printing machinery, we have joined hands with Heidelberg to recondition, immaculately used Heidelberg printing machines, and market them. There is a good demand for reconditioned Heidelberg printing machinery worldwide. 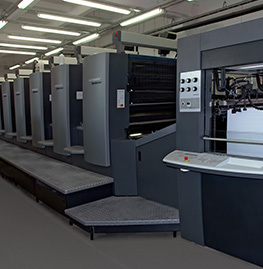 With our own extensive experience and global connections, we are able to obtain well used second hand Heidelberg Printing machines from all over the world and recondition them to the level of new Heidelberg printing machines. We have gained a solid reputation in the global market due to the in-depth technical knowledge of our work-shop and factory engineers, including dedicated technical services of the employees. We are proud to say that we are able to meet any complex need of the customers, who require Heidelberg used printing machines, to be reconditioned to the standard of a brand new Heidelberg Printing Machine. Before we finalize any deal to purchase used Heidelberg printing machines, each unit is thoroughly checked and inspected by several of our highly-trained engineers. Heidelberg used printing machines undergo most rigorous tests to ascertain what parts needs replacement and finally a thorough refurbishment takes place. Sometimes, Heidelberg printing machine is painted to bring the original Heidelberg colour and look. We also maintain an state-of-the-art cleaning and painting facility in our work shop, so that Heidelberg Printing Machine will carry a brand new Heidelberg look. All Heidelberg reconditioned printing equipments are rigorously print-tested before they are sent out. In addition, we will provide customers with all relevant technical information, service manuals, and operating manuals of the reconditioned Heidelberg printing machines, together with a comprehensive range of spare parts as well. We at GAB also handle all aspects of delivery - right through to installation, commissioning and training. Another marketing aspect of the GAB Supplies is the sale of second hand, (well used) good quality Heidelberg printing machines. If you are looking for a secondhand Heidelberg offset printing machine, we are there to meet your demand, as we do stock good quality, sparingly used, Heidelberg printing machines in our stores. Used Heidelberg printing machines are thoroughly checked and print-tested by our Quality Assurance Engineers to ensure the machine's quality, before sold out to customers. "Quality and Customer Care" is our commitment. GAB Supplies workshop facility undertakes all aspects of engineering works as well. If your current Heidelberg Printing Machine requires a full refurbishment or just a clean-up, we are able to handle it. We do have some of the best and most experienced engineers in the industry in our payroll. We also undertake to attend requests for site-to-site removals, re-installations, on-site repairs or on-site replacement of parts of Heidelberg printing machines. If you're looking for a dependable and experienced "used Heidelberg printing equipment or reconditioned Heidelberg" supplier, offering un-matched prices and excellent services, don't look beyond GAB Supplies - call for our catalogue today. If you wish to sell your used Heidelberg offset printing machine, or exchange it for a new machine, we are there to help you, we are only a phone call away.